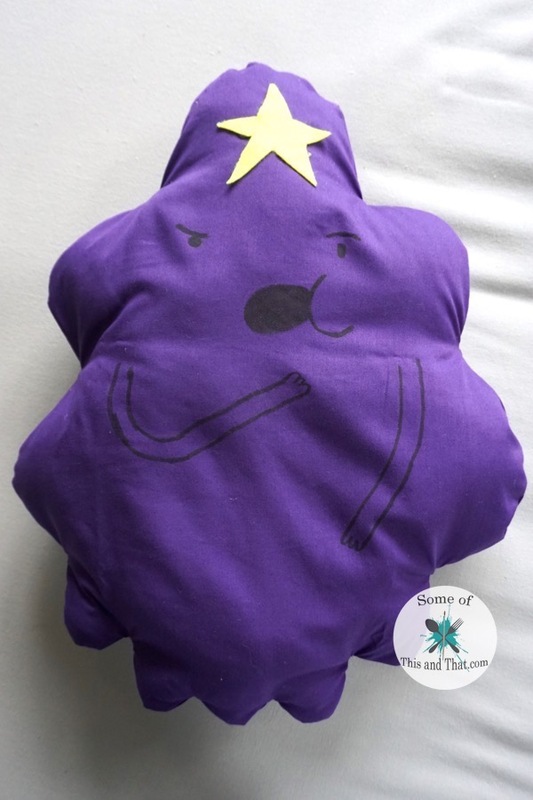 You can create this pillow be either sewing it, or using the good old hot glue gun method. Each way will work, but I found that sewing the pillow made it a lot easier to turn it right side out. If you do opt to use a hot glue gun, I would recommend using a high temp hot glue gun because it does tend to bond the fabric together better. 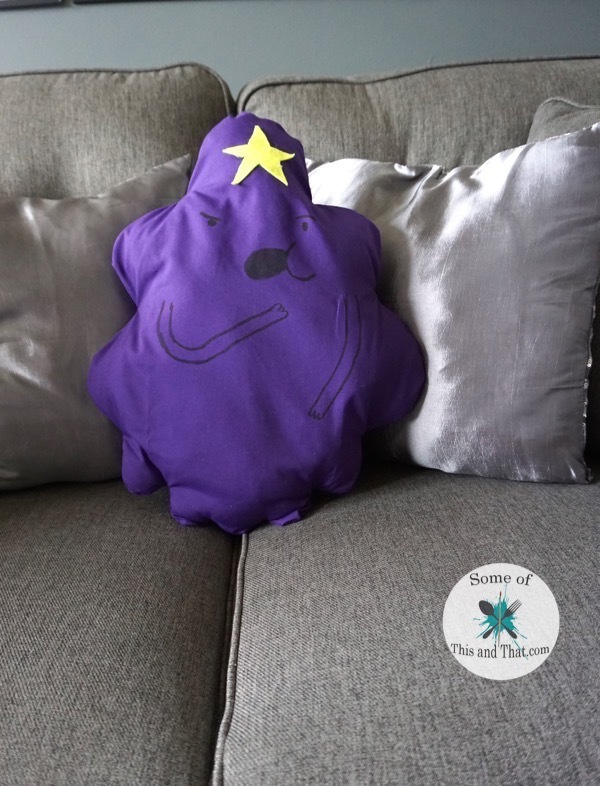 To create this fun DIY LSP Pillow, all you need is some basic materials and the template for the pillow which you can grab by downloading it below! So what are you waiting for? 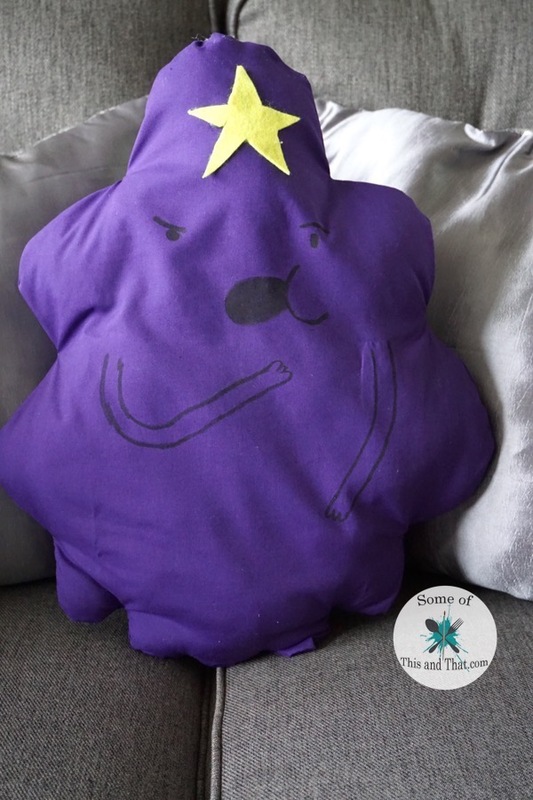 Grab the template and check out the video below on how I made this super adorable pillow! If you recreate this project be sure to tag us on Instagram or Twitter so we can see it! Do you have a favorite cartoon character? Let us know if the comments below! Previous Post: « DIY Lighted Reading Nook!